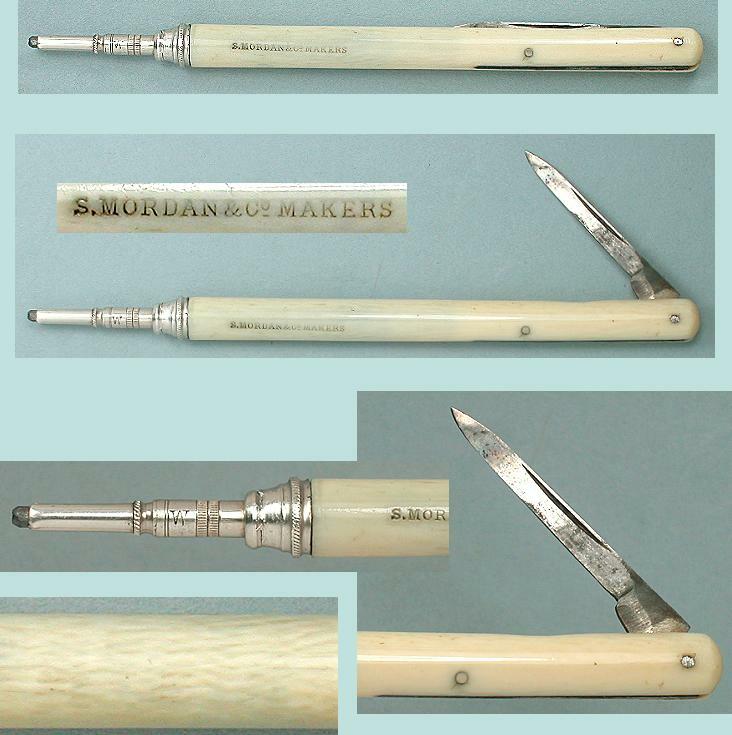 This elegant combination pencil and folding knife is carved of ivory and has a sterling silver (tested) nozzle. The nozzle has all of its parts and the lead advances properly when it's twisted. 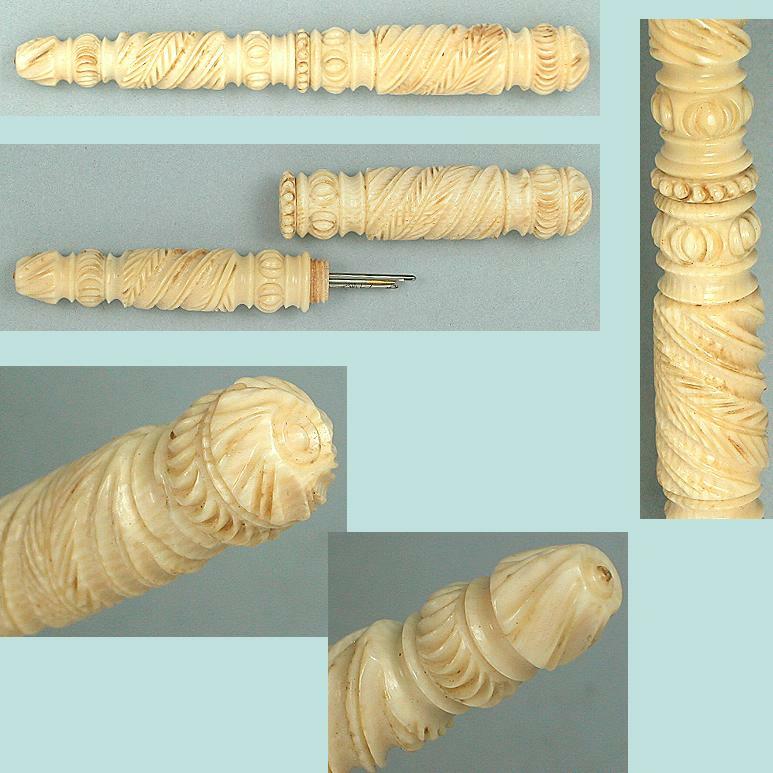 The condition of the ivory is excellent with no chips or cracks and it has a beautiful old patina and grain pattern. The fold out pen or quill knife is sharp and intact. The side is marked "S. Mordan & Co. Makers", an 1850-60 mark for this well known company. It measures 4 3/4" long.